The days of an Acura crossover sport coupe are numbered. Acura has announced there will be no 2014 Acura RDX, discontinuing the model after the 2013 model year with production ending early in 2013. The coupelike crossover from Acura has never resonated with buyers. 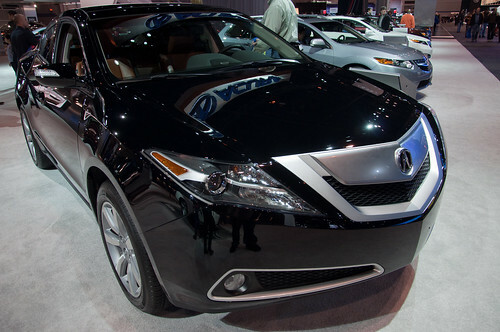 Acura sold an anemic 642 ZDX’s during the January-September 2012 period. With its limited cargo capacity, small rear passenger headroom, and high starting price in excess of $50,000, finding willing buyers has been a real challenged. The model failed to attract much attention in the face of still competition in the luxury SUV segment. The coupelike BMW X6 crossover, a more expensive model, has sold more than three times as many units as the ZDX. In its final year, the ZDX gets numerous enhancements and a substantial price increase of $4,800 to $51,815, including an $895 destination fee. The 2013 ZDX changes include a reworked front shield grille, new power folding side mirrors, and forward collision and lane departure warning systems. The powertrain remains unchanged with a 3.7-liter 300 horsepower V6. The model returns fuel economy of 16-mpg city and 23-mpg highway with 19-mpg combined. The ZDX is offered in only one package and comes standard with a six-speed automatic and such amenities as leather seats, power liftgate, Bluetooth, keyless access, and pushbutton ignition. 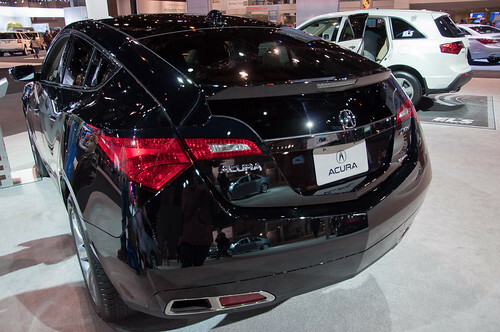 The ZDX, currently the most expensive Acura on the market, is built on the same platform as the 7-seat and much more spacious and popular Acura MDX. In recent years, Honda has had difficulty finding willing buyers for its Acura luxury line in the face of stiff competition and not enough differentiation from its Honda line. With a 4-year run, the ZDX did not even last as long as the notoriously poor Pontiac Aztek. In conclusion, the ZDX’s lackluster utility, high sticker price, and uncompelling appearance failed in the marketplace. The discontinuation of the ZDX may signal the forthcoming demise of the Honda Crosstour, the coupelike crossover version of the Accord, the has similarly not been a hit with buyers. Let us know your thoughts on the ZDX in the comments below or vote in our poll in the article on the 2012 ZDX.